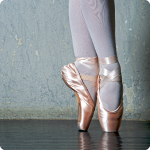 On Monday 8 April, bookings will be opened for Georges River Council’s performance venues (Hurstville Entertainment Centre) and community centres for the 2021 calendar year. Calls made through the Georges River Council main call centre (9330 6400) will be diverted to the bookings enquiry voicemail. Once all requests have been collated, our bookings staff will contact all clients with an outcome for their enquiry. Please note: requests made prior to 8.30am on 8 April will not be considered. Email and other requests will be considered from Tuesday 9 April 2019, following the allocation of bookings made through the above standard booking process. 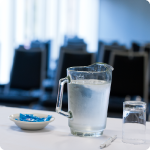 Hurstville Entertainment Centre (HEC) is the ideal choice for your next event, conference or performance, with our rates starting at just $40.00 per hour. HEC boasts a range of venues, including an auditorium, theatre, and a range of function, event and meeting spaces, with capacities ranging from 30 to 1,500 people. HEC is located in the heart of Hurstville’s CBD at 16 MacMahon Street, Hurstville. The centre is adjacent to Georges River Council’s Hurstville Service Centre and within minutes from public transport. Our other community facilities, Kingsgrove Community Centre, Mortdale Community Centre, PJ Ferry Reserve Community Hall, Carss Park Life Saving Hall, Oatley Community Hall, are located within the grounds of community parks, and are an ideal location for family parties, christenings and events. 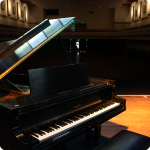 The Hurstville Senior Citizens Centre and Kogarah School of Arts is also suitable for family parties christenings and events and can accommodate for medium range performances and concerts. The Marana Auditorium has hosted some of the biggest names in entertainment - AC/DC, Skyhooks, Cold Chisel, Johnny O’Keefe, Little River Band, Air Supply, Play School, Dorothy the Dinosaur’s Beach Party and Carl Barron, to name a few. The Marana Auditorium boasts classic ballroom charm over two spacious levels and enables a choice of floor plans with a maximum capacity of 921. The auditorium features a sizeable stage, state of the art production facilities, five spacious dressing rooms and Green room. The Marana Auditorium has a fully licensed refreshment bar, cloak room and box office. 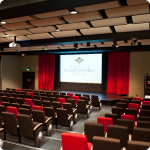 The Hurstville Entertainment Centre offers a variety of conference facilities with venues including the Marana Auditorium which holds a capacity of 682 or 921 people over one or two levels in a theatre style or cabaret/banquet set up. The Civic Theatre is the perfect venue for your seminar or conference with a capacity to hold 209 people in a theatre style. The HEC team can offer your conference delegates a complete conference day package, including catering and audio visual requirements. The HEC team can also source guest speakers and entertainment from its network of quality providers to make your conference a standout. Are you staging a school formal, debutante ball or celebratory event? 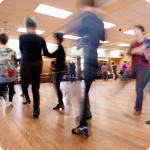 The Hurstville Entertainment Centre is the ideal venue for hosting social events. The HEC team will assist you to select the best possible venue to ensure that your event is a success. The Hurstville Entertainment Centre’s Civic Theatre is a multi-purpose venue and an ideal choice for cinema screenings, seminars and conferences, auctions and performances. Newly refurbished and with comfortable cinema style seating for 209 attendees, the theatre is also equipped with a 10.5m stage and a 35mm film projector. 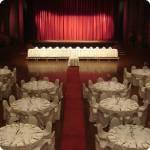 Functions and weddings are another of the Hurstville Entertainment Centre’s specialties. From cocktail events to elegant banquet settings, the HEC team will ensure that your special day is nothing short of memorable. The Marana Auditorium presents a wonderful setting for your function or wedding, allowing up to 450 people for a formal sit down dinner event. Our other community facilities, Kingsgrove Community Centre and Mortdale Community Centre are both located within the grounds of community parks, and are an ideal location for family parties, christenings and events for up to 150 people.